Looking for a black diamond? Why is the Perigord black truffle called a black diamond and what does it taste like? Navigating a region's food scene can have you going round in circles. Restaurants and wine bars all tempting you in. Guidebooks and Trip Advisor are a great place to start but how do you know you have searched all the options, and, how do you know what you want? Tailor-made wine tours to introduce you to the spectacular wines of Bergerac. When you approach wine there are three elements you naturally look for – the colour, the smell and the taste. However, take these elements away and we’ve been surprised by the results. When you approach wine there are three elements you naturally look for – the colour, the smell and the taste. But we are also influenced by the label and price. However, take these elements away and we’ve been surprised by the results. On our recent Wine Exploration week we went on the hunt for great value wines from less well known vineyards. A great article in Living France, October 2016, from an interview between Duck & Truffle's Kate and Living France writer Catriona Burns... "a love of food and wine inspired two couples to team up and launch a business running gourmet weekends and wine tours in Dordogne". 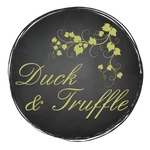 Olive Magazine features Duck & Truffle in their hot food trips for 2016.